The Precision Linear Expansion Apparatus produces accurate determinations of the coefficient of expansion. This rigidly constructed apparatus requires no electrical accessories, and readings are repeatable to 0.005 mm. Expansion rods can be easily replaced without removing stoppers by sliding one rod into the heating jacket that automatically ejects the other rod. Four expansion rods are available: aluminum, brass, copper, and steel. 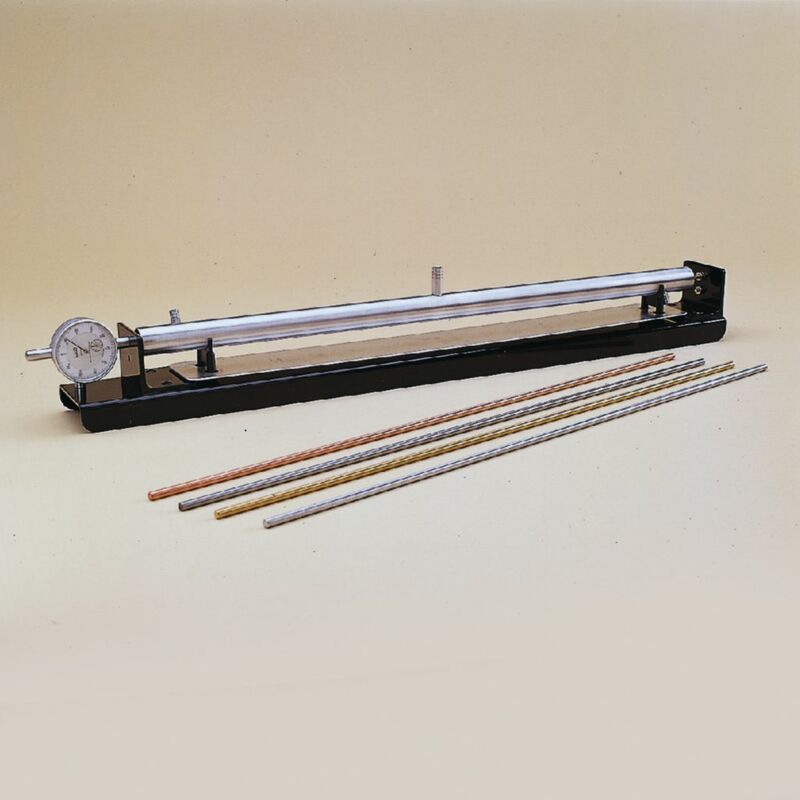 Rods measure 60 cm x 6.4 mm (1/4") in diameter. A steam generator is required.